A simple and easy fat bomb recipe that tastes identical to a peanut butter cup without all the guilt. Keto, Vegan, Dairy Free and Gluten Free. These can be tailored to Paleo by subbing almond butter. Who doesn’t love a good peanut butter cup? These babies are my number one weakness and will test my will power anytime I’m near them. We truly have a love/hate relationship, I hate them because I love them so much, haha. You know me though, I’m always on a mission to recreate my most beloved treats in a healthy way. These peanut butter fat bombs turned out AAAMAZING and are legit delicious. They will for sure save you on those late night where you wanna be a scavenger and tear through your kids Halloween bag. I love this recipe so much because it can be whipped up in a flash and takes no time to harden in the freezer. These are great if you are doing Keto and need a little boost of healthy fats throughout the day. They are also great for a kids snack, Eloise, my four year old eats these all the time for a afternoon treat. Even of you aren’t following the low carb or keto lifestyle, these are a great snack for anyone. The peanut butter mixed with the coconut oil, coco powder and stevia is sure give you sweet tooth a quick “fix.” I use Stevia as my main sweetener in this recipe, but if you are not worried about carb count, then sub real maple syrup. In addition, I am currently loving ChocZero’s maple syrup that is sweetened with Monk Fruit. It honestly tastes like the real thing and is all natural with very little carbs and sugars. As far as my dark chocolate, I am a big fan of Lilly’s and always try to keep the chocolate chips or dark chocolate bars on hand. 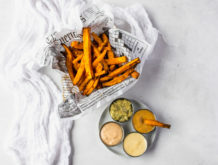 If you are living the Paleo lifestyle and want to try these out, then substitute almond butter for the peanut butter and you will be good to go! A fat bomb is a combination of healthy fats created to help people who eat a lower carb diet include more healthy fats into their diet. Fat bombs can be eaten as a snack or in the morning to support energy and focus. They even serve as a great dessert alternative if you are needing a little something sweet after a meal. Won’t eating high fat make me fat? FALSE…Eating high quality fat won’t make you fat. If eaten correctly, fat actually helps you burn more calories. In order for our bodies to function properly, we must have fat in our diets. Make sure that if you are eating high fats to watch your sugar and carb intake. Carbs and sugar can often lead to overconsuption and that is what causes weight gain, not the fact that you are eating high quality carbs. If you are living the low carb lifestyle and need a quick energy boost, give these sweet babies a try! A simple and easy fat bomb recipe that tastes identical to a peanut butter cup without all the guilt. Keto, Vegan, Dairy Free and Gluten Free. Line 12 mini muffin tins with mini liners. Mix the melted coconut oil, stevia, cocoa powder and vanilla together in a small bowl. Add halfway to each mini muffin liner. Put the muffin tins in the freezer for at least 10 minutes. While the chocolate layer is setting, mix together the peanut butter, melted coconut oil, maple syrup, and a pinch of sea salt. Pull the chocolate mixture from the freezer and pour the peanut butter mixture over the top until each liner is full. 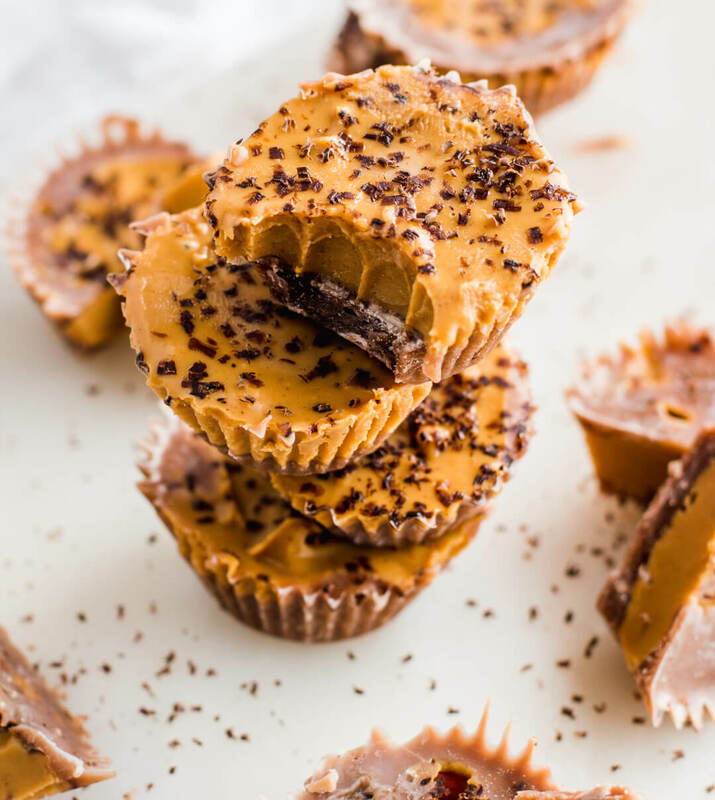 Top each peanut butter cup with dark chocolate shavings. Put back into the freezer until hard. Will last a couple of months in the freezer.